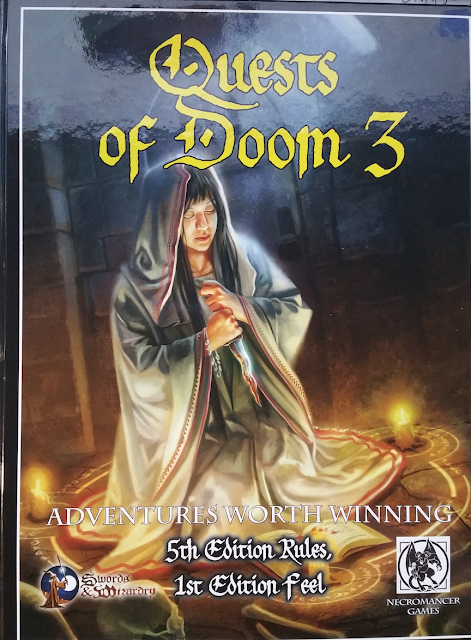 So, who gets the Quests of Doom 3, in print for Swords & Wizardry? I'll need a valid US mailing address. Shipping probably won't happen until next week as I have a few more things to give away and would like to make as few trips as possible to the post office.